Once you determine your face shape, you can also discover the options of haircuts that will flatter your face shape most. Some haircuts are universally appealing (we’re looking at you, trusty lob), but others are tricky. Just because you love a celebrity’s haircut, doesn't mean it will look great on you–especially if you have very different shaped faces. Although a lot of focus is put on how you cut your hair for your face shape, where you part your hair could be the most flattering change you can make. Have you ever switched your part to the other side? Even if it feels unnatural, it could be a game-changer. By using your face shape as a guide, even the slightest change–from a side part to a dramatic, deep side part to a middle one–can make a huge difference. Take a look. A side part, whether slightly to the side or extremely far over, is the best option for heart-shaped faces. Heart-shaped faces are usually accompanied by a widow’s peak, which wouldn’t be as flattering with a middle part. If you have a long hair and a heart-shaped face without a widow’s peak, a middle part will work, but otherwise, keep it to whichever side feels natural. If you have a round face, a deep side part will give a lengthening appearance and flatter your features. We all have the side we think is the “good side” (even though they’re all beautiful, ladies!). Choose whichever side you prefer to be on in pictures, or the one with your better eyebrow (they’re sisters, not twins), and part your hair in a deep side part the opposite way. A middle part with long, face-framing bangs or layers will also have a lengthening, slimming effect for a round face. Be sure to request long layers or fringe that end past your chin for the best results. If you’re blessed with an oval face, any part will flatter your face shape. Experiment with parts on either side or in the center, and don’t be afraid to go for a slicked back look, too. If you’ve had the same part your whole life and have an oval-shaped face, there’s no reason not to try out a new one! If you have a square-shaped face, you probably have a sharp jawline. A side part or deep side part with soft, side-swept bangs will soften your look. Long bangs that continue into long layers will also create a lengthening effect. Laidback, beachy waves are a great accent for this style. 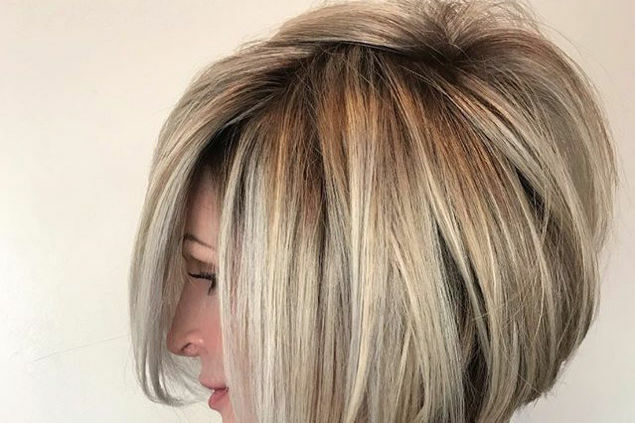 You can also choose play up your striking jawline by having a blunt bob or lob that hits right at or below the chin, but stick with a side or deep side part for the most flattering look. Oblong faces are about the same width from forehead to chin, so this symmetry provides a perfect canvas for a middle part. 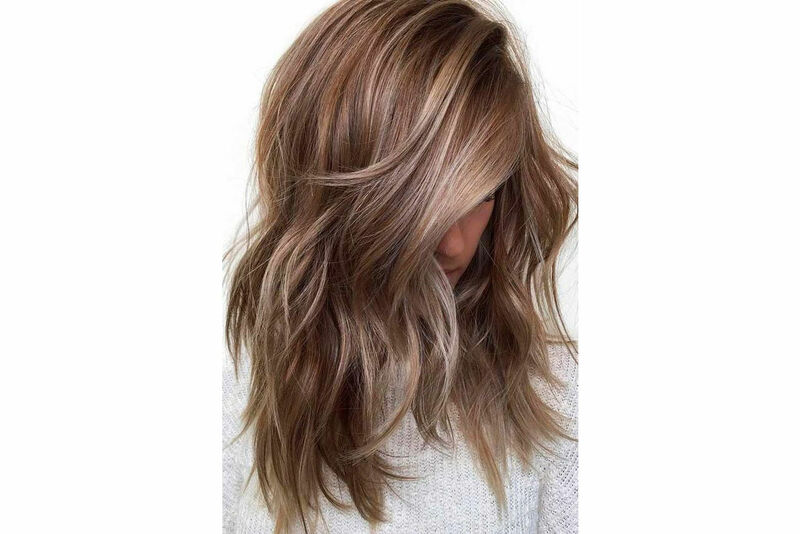 With a middle-part style, adding some face-framing fringe or layers throughout the hair will amp up the volume and complement your face shape, too. Diamond-shaped faces have high, beautiful cheekbones, so a side part will best show them off, whereas a middle part could cover up the cheeks if the hair is in front of the ears. Short cuts work beautifully with a diamond-shaped face, so if you’re debating a big chop, go all in. Because diamond-shaped faces have narrow foreheads, you can rock straight across, side-swept, or long fringe bangs. For the same reason, you can also try slicked-back looks, whether up or down. Pear-shaped faces are very similar to square faces, but rather than the forehead and chin being the same width, the forehead is narrower. Adding a little more oomph up top will balance the look out, so opt for a deep side part with volume or side swept bangs. Long bangs are great if you still need to pull them back in a ponytail, and a deep side part adds instant volume. Remember, you never want to cover up your face with hair! Show off that gorgeous jawline.